Those 7Artisan people might win me back to shooting a film Leica with lenses like this! They keep killing it. Glad to see super affordable lenses for the M system. The 52 mm filter size will cut off a good bit of the viewfinder in a conventional rangefinder. But the buyers are likely using something else than an oldfashioned Leica. True! As M shooter I need more affordable pancakes, not another brick and bottle. It is nice they made this lens, but it is too big and heavy. My 28 1.9 is almost twice less heavy and it feels compact now . Agree with KoFe. How about a nice, not much bigger than a body cap, 28mm f4. Ah, but it still has to work on digital. Is that why RF lenses, indeed it seems all modern lenses have become monsters? Anyone expected a 28mm 1.4 lens to be compact? Why would 7A bring to the table a 'slow' small lens? There are plenty of those out there. What there isn't is an affordable high speed 28mm lens (or the 50 1.1 before they released one). Leica's version is $7000. Not all people have that kind of coin. 7A are filling an unaddressed niche, and I congratulate them for that. I may get such a lens for the reasons Huss mentioned above. Could be an interesting lens. Is there any pricing information known, yet? Depending on its optical performance, it might be useful for special occasions. Interesting that they mention the only M cameras it is compatible with (apart from digital) is the M3, M6 and M7. No mention of M-P or M-A, but if it works on the M6 it 'should' work on those too. I get why it would not work on the M5 (meter stalk interference) but the M4/2/P? It also states filter size is 52mm, but in one pic it shows 49mm on the lens front. I dunno guys. The above picture was taken in full sunlight -- surely at the smaller aperture end of the scale for the lens. But I still see fall-off in the corners. I wonder if this is a glass-half full? Your wallet will also be half full after the purchase, Benjamin. This is better than having an empty wallet. How do you make a small fortune......you start with a large fortune and become addicted to cameras and lenses. A half full wallet, Peter! On the other hand, how do you quantify extra happiness!!!! Very interesting lens! I have been quite surprised with my copy of the 7artisans 35mm f/2 especially in direct comparison to my 'Cron pre-asph so I am keenly interested in this new 28mm. I am impressed with the lens optical design but I can't quite put my finger on a similar design; it seems like a Zeiss for Contax (of course not quite exact from the lack of mirror and use of aspherical elements). Since to me it is clear that the Zeiss ZM 35mm f/2.8 was if not the direct influence of the 7artians 35mm f/2 (with of course a few adjustments for speed) I wonder if they perhaps used a Zeiss design as a starting point. You would almost certainly need to use an external viewfinder. Maybe 7Artisans needs to branch out and make one. I am happy with my 7Artisans 50/1.1. It was a bargain buy. Exactly... you can't have perfection and still have it cheap. Why would they need to do it, here is many VFs available. .
On serious note, M became universal lens mount for mirrorless MF FF lenses. It is nice they are still keeping RF in mind, but 7A market in on A7. How is the distortion on the 7A 50 1.1 ? I will never understand why anyone would want a Leica and not use their lenses. Isn't that what makes Leica so special? But that's just me, I guess There's plenty of Canon/Nikon/Sigma 28/1.8 lenses out there that cost a dime and are not much "slower." If you want an underperforming lens, why not get a Rokinon 24/1.4 and a cheap Canon/Nikon body, for example? What a day. One next to another one. Nether heard of Garry Winogrand? Never hear what he was saying about RF vs Leica? And never seen him with Canon glass on Ms ? And why it is OK to use Rokinon on Canonikon, but not OK to use J-3 on M? Anyway, I'm sure third one is coming. But I'm taking cover in da basement. Printing in the dark is calling. I do agree with this to a degree. Not only did Leitz make some of the finest cameras, they made some of the finest optics. Sure, there are some other fantastic (bargain) lenses, but you're missing out on the complete Leitz experience without one of the lenses. In short: but the Leica glasses are so expensive. $6590 for the 28/1.4 - no thanks. But $659 (hopefully) won't hurt in comparison. Leica lenses are good but not the only good ones out there, nor would they always be the ones that fit my need best. For instance I'm so fond of the Konica UC-Hexanon 35/2, which is vastly better crafted than the (often wobbly, even made in Germany) 35 cron v4. What makes up the M mount ecosystem is the complete experience, at least to me. Glad it's still growing at a healthy rate. Too true, spoken like a real camera buff and lens addict. PS Please tell my wife this. For instance I'm so fond of the Konica UC-Hexanon 35/2, which is vastly better crafted than the (often wobbly, even made in Germany) 35 cron v4. yes, you can pick out a few (maybe 3 or 4) Leica lenses that were not up to the standards we would expect from the company. But that's 3 or 4 out of 100 or so? Does Konica have that kind of track record? Ultimately, if it gives you photos you like, it's a good lens. The Leica/non-Leica argument reminds me of the fights about German vs. Canadian Leica lenses. The photos matter, not who makes the lenses. i certainly don't feel like i'm arguing with anyone. and i certainly hope we can compare the attributes of different lenses in a lens forum. a little off topic, any thoughts on this bad boy? Find More Posts by Michael I.
Konica M lenses and the few limited LTM lenses are impeccably built...but I'm not sure I understand what you're trying to say. Nothing is perfect. So does Konica. So are Leica and Leica lenses. I assume it's common sense? Personally, I don't think I'm missing out anything since I'm not using 100% Leica lenses. The M is just a mount standard, let there be no myth around it. I've used and studied a lot and consider myself knowing what I'm doing. By no means am I in favor of a 100% Leica lens lineup. I myself use and prefer different brands for certain focal lengths. 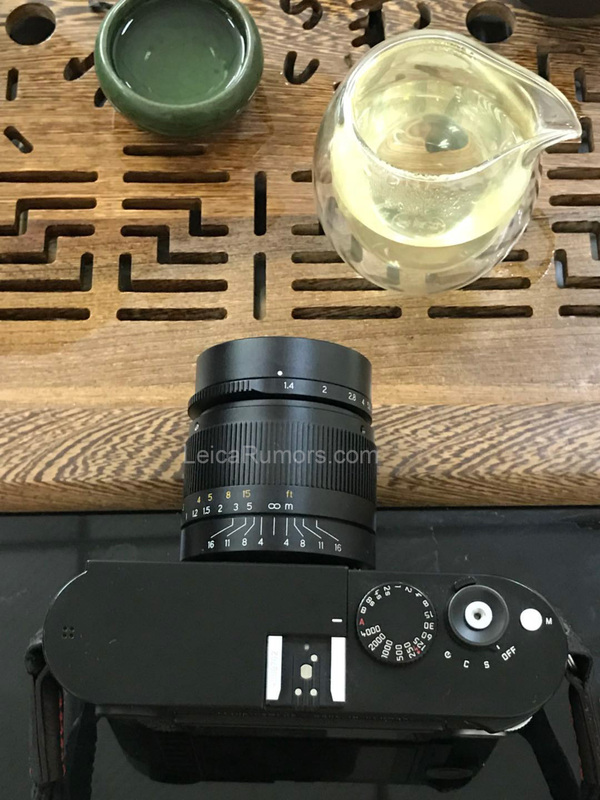 I suppose the point I'm trying to make is that there are a few Leica lenses that warrant their price, not only in terms of build quality, but in their ability to produce unique image characteristics. If you exclude a lens solely because of its (relatively) high price, you could be missing out on a truly wonderful photographic experience. Originally Posted by Michael I. "Designed in Germany and made in China ('Handevision' is a portmanteau term - ‘Han’ signifies 'China' in Mandarin, while the following two letters ‘De’ represent the first two letters of 'Deutschland') the Iberit line is intended to be a low-cost alternative to 'own-brand' lenses and established third-party primes, for photographers dipping their toes into manual focus photography." People with digital Ms and those with film Ms who digitize their images have a common, straightforward solution for vignetting. Some post-production platforms even offer parameters to adjust the corrections to match a lens' vignetting shape and even support correction for asymmetrical vignetting patterns. Seriously, the reason for me to use a RF camera for wides, even if one cannot afford or justify Leica lenses, is that RFs allow more precise focusing of wides than SLRs. Some people will buy 5 crap items that add up to 1 nice item. And they'll feel like they got a better deal. I'm not saying that's the case here, but that "if it's cheaper it's a better deal no matter what" mentality is becoming more pervasive in our society.